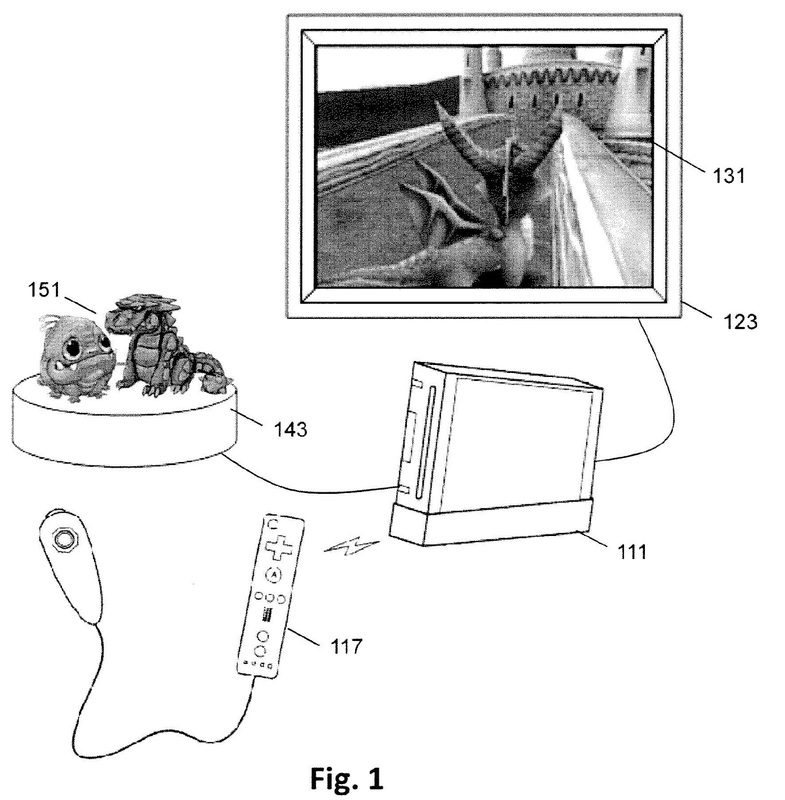 Issued August 26, 2014, to Activision Publishing, Inc.
U.S. Patent No. 8,814,687 (the ‘687 Patent) describes a method to allow a multiplayer game in Guitar Hero. 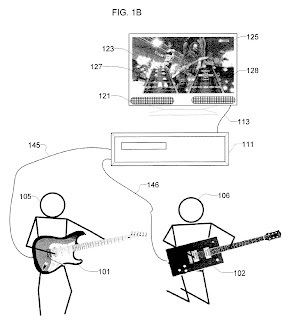 If a person was already playing a song in the game, the ‘687 Patent allows for a second person to join without interrupting the song. The system would quickly configure the settings and information for the second player while the first player kept play. A player could also leave a session without forcing other players to leave as well. The system removes all the information relating to the player who quit but leaves the remaining player’s information intact. 1. 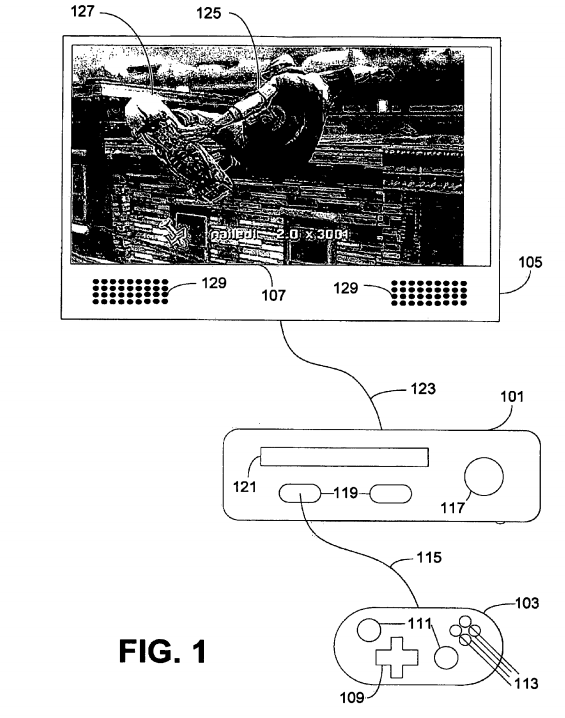 A method of providing for video game play of a music-based video game, comprising: displaying, for the music-based video game, video of a band performing, the band including musicians whose roles players may perform, with each of the players provided a score; determining whether a further player is joining the video game during a presentation of a music piece based on at least an input signal from a further controller, the further controller not already associated with another game player; if the further player is joining the video game during the music piece, providing game play for the further player without disrupting play of other players, including commanding display of instructive cues for operation of the further controller and commanding display of a score for the further player based on compliance with the instructive cues based on inputs from the further controller; determining whether the further player is quitting the video game during display of the instructive cues for the further player; and if the particular player is quitting the video game, removing display of the instructive cues for the further player. 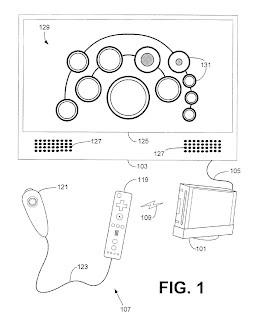 Issued: July 5, 2016, to Activision Publishing, Inc.
U.S. Patent No. 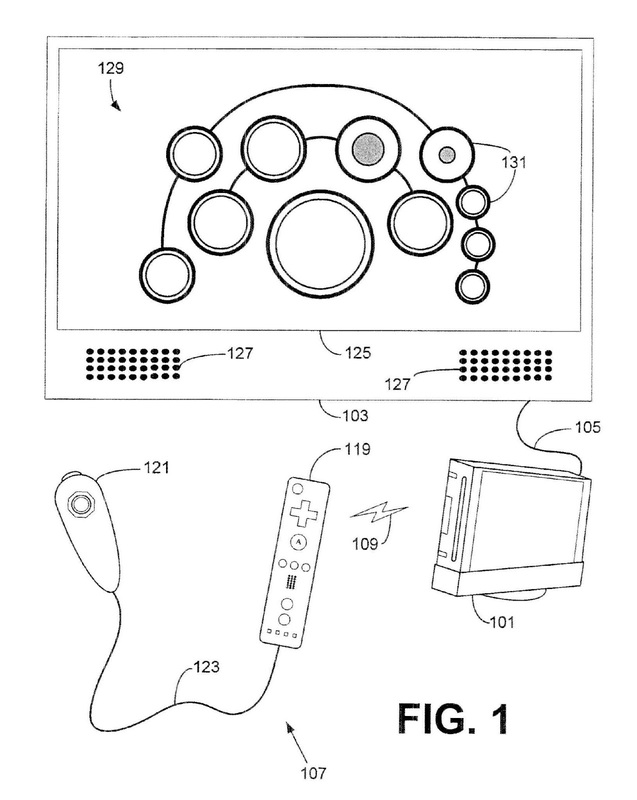 9,381,430 describes a method for toys to interact with a video game. Only designated toys containing an identification tag can interact with a compatible video game. A peripheral detection device is needed for the video game to read the game data contained in the toy’s tag. The toy’s game data can alter the gameplay by giving a character a new attack or item. A user must place the toy in the designated area on the peripheral device for the video game to detect the data. 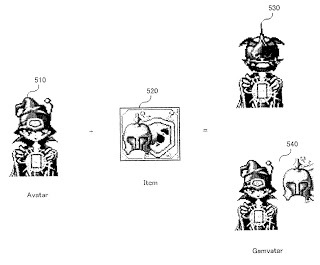 The ‘430 Patent relates to Activision’s Skylanders franchise since the patent uses Spyro the Dragon in certain figures. Spyro appeared in the first Skylanders and has been a key character in the Skylanders lore. The Skylanders franchise popularized the toys-to-life video game genre. Since 2011, Activision has released six main Skylanders games and six spin-off games. By 2016, the Skylanders franchise had sold over 300 million toys. Both Disney and Lego tried to compete against Activision, but both companies have ceased to make toys-to-life games or products. A video game includes a peripheral device that senses the presence and identity of toys near or on the peripheral. Each of the toys includes an identification device such as an RFID tag. Each of the toys is also associated with a corresponding game character or object. The interactive video game presents a play pattern such that when a toy is detected in a detection area of the peripheral, the virtual game system may process the placement of the toy so as to effectuate a video game control action such as an attack or a maneuver to evade an enemy. 1. A computer implemented method for controlling a movement of a virtual object in a video game using a physical object, comprising: detecting a physical object within a detection area of a detection device; determining a position for a virtual character, controllable by inputs from user input devices, corresponding to the physical object within a video game play sequence; retrieving identification information from the physical object; executing instructions to conduct a game play sequence to display the virtual character based on the identification information and to display a movement of the virtual character from an entry point to the determined position in response to detecting the presence of the physical object, the movement including an attack sequence determined according to the identification information; detecting removal of the physical object from the detection area of the detection device; and executing instructions to conduct a second game play sequence to display an exit movement of the virtual character from a last position of the virtual character to an exit point in response to detecting the removal of the physical object, wherein the exit movement including a defensive gameplay move and the exit point being different than the last position of the virtual character. On July 10, 2018, Infernal Technology and Terminal Reality (Infernal) filed a lawsuit in the Eastern District of Texas alleging that Crytek GmbH (Crytek) infringed upon U.S. Patent Nos. 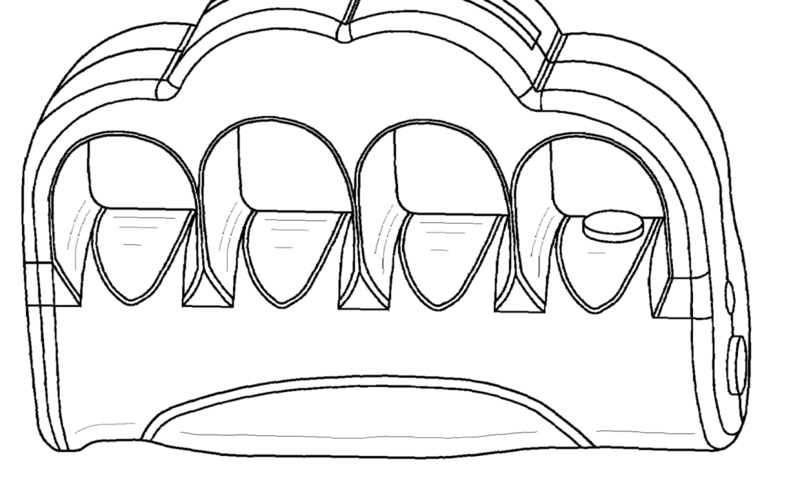 6,362,822 (the ‘822 Patent) and 7,061,488 (the ‘488 Patent). 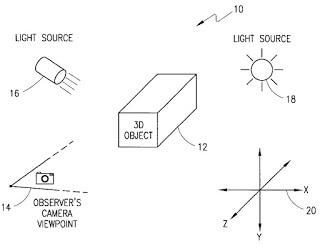 The two patents relate to lighting and shadowing methods in computer graphic simulations. 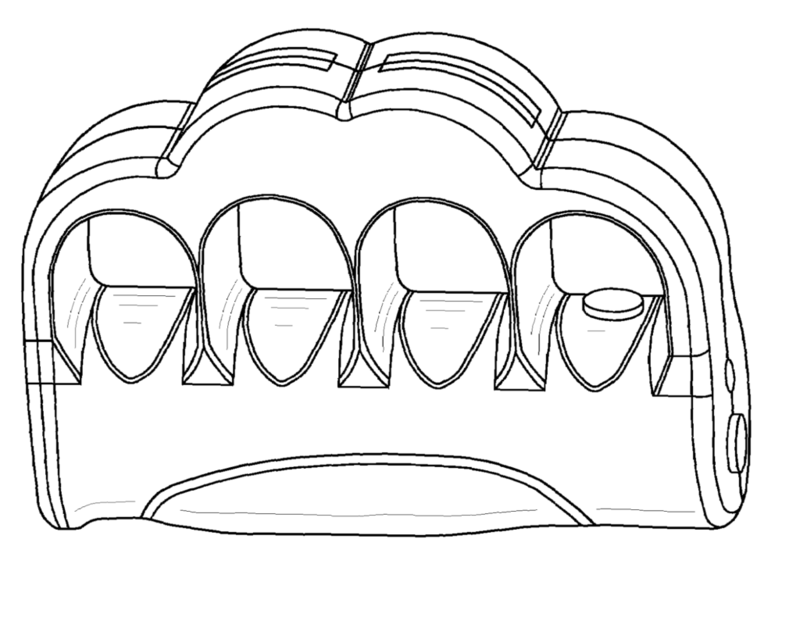 Image from the ‘822 Patent, Fig. 2.
displaying resulting image data to a computer screen. (‘822 patent, col 12, lines 4-21). Infernal claims that Crytek’s utilization of video game engine “CryEngine” allegedly infringes the asserted patents. According to the Complaint, Crytek used the allegedly infringing game engine to develop the Crysis series, Warface, Ryse: Son of Rome, The Climb, and Robinson: The Journey. Typically, the next step for a defendant in this situation is to petition the Patent Trial and Appeal Board (PTAB) for an Inter Partes Review (IPR), but the ‘822 and ‘488 Patents have already survived an IPR because of earlier litigation. 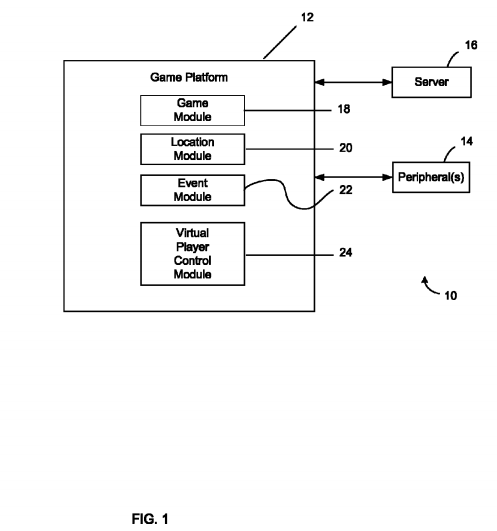 In 2015, Infernal sued Electronic Arts for patent infringement. EA responded by petitioning the PTAB for an IPR; however, the PTAB found the ‘822 and ‘488 Patents to be “Not Unpatentable.” EA settled the lawsuit after the PTAB’s decision. Crytek can still petition for an IPR of the asserted patents, but will likely have to use different prior art that the art used by EA or provide a good reason why the Board got it wrong the first time around. If this seems like deja vu that is because Infernal filed complaints similar to the Crytek Complaint against Microsoft in April and against Activision Blizzard in May. To read our blog post on the Microsoft case click here. We will continue to monitor all three of these cases and provide updates when possible. On May 15, 2018, the Patent Trial and Appeal Board (the “PTAB”) instituted two Inter Partes Review (“IPR”) proceedings against U.S. 5,822,523 (the “’523 Patent”). The ’523 Patent generally relates to group messaging in interactive applications. The petitioner is Riot Games, Inc. (“Riot Games”), maker of popular titles like League of Legends The patent owner is Paltalk Holdings, Inc. (“Paltalk”). From 2006-2009, the ’523 Patent was asserted by Paltalk in patent infringement cases against Microsoft, Sony, Activision Blizzard, NCsoft, Jagex, and Turbine Inc., among others. transmitting, by said server via said unicast network, said aggregated message to a recipient host computer belonging to said first message group. Both Riot Games and Paltalk agree that the ’523 Patent expired. While it might seem strange for Riot Games to attack the validity of an expired patent, a patent owner may sue for damages that were incurred when their now-expired patent was valid, though they cannot recover damages that were incurred more than six years prior to the filing of the lawsuit. As it appears that the ’523 Patent expired in 2016, Paltalk could potentially file patent infringement lawsuits up until around 2022, but only for damages that they incurred prior to 2016, and only so long as their damages were in the six years before they filed the lawsuits. For example, if Paltalk sued a game company for patent infringement on Jan. 1, 2021, they could recover damages from Jan. 1, 2015, up until the date the ’523 Patent expired in 2016. 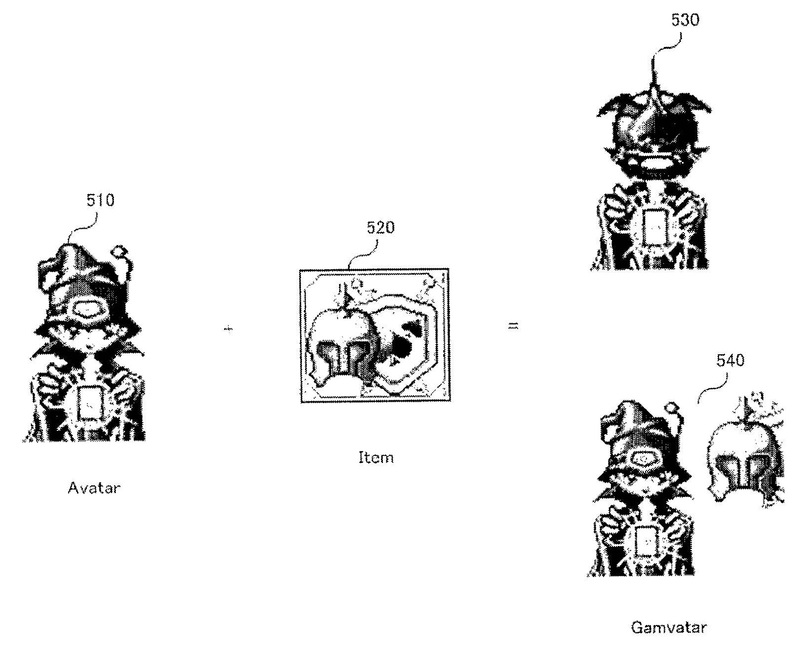 Issued May 13, 2014, to Activision Publishing, Inc. The ‘412 patent covers both single and multi-player video games. The games covered have different content sets, or quests, that can be completed by any combination of a single player, other real world players, and artificial intelligences. The player can move between these content sets, interact with the players therein, and complete discrete goals. 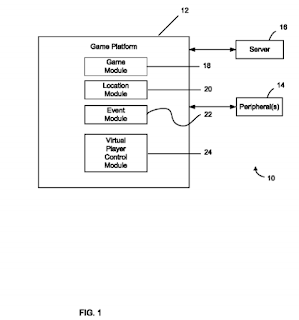 A system and method are configured to provide a videogame to one or more players. The videogame may involve a series of different sets of content within which players perform activities. A group of players may be associated with the content sets. The players may include virtual players controlled by artificial intelligence and one or more real world players. Players may progress through the videogame by moving from content sets to content sets, performing objectives in the various content sets, and interacting with the players within those content sets. an event module configured to manage a first set of events associated with the first content set, and to determine if the player has successfully participated in individual events in the first set of events, and wherein the first set of criteria associated with the first content set requires successful performance of some subset of the first set of events as determined by the event module. Issued Nov. 26, 2013, to Activision Publishing, Inc. 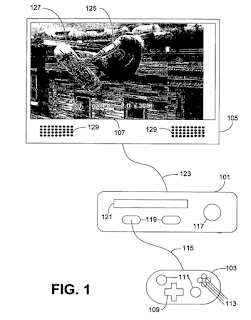 The ‘332 patent describes a video editor that displays game play clips created while the player is in game. The editor compiles game play video, records information about the clips, and can create compilations based on this information. The editor can also associate particular audio with different video clips, creating an audiovisual presentation. It’s also capable of video overlay editing and music editing. The editing software is used used on the game system, rather than on a separate computer or device. A video editor for a video game is discussed. The video editor manipulates information of video game play to provide videos of game play and in some embodiments scoring of videos. adding at least some audio with the video compilation to thereby form an audiovisual presentation, the at least some audio being associated with events included in the video compilation. 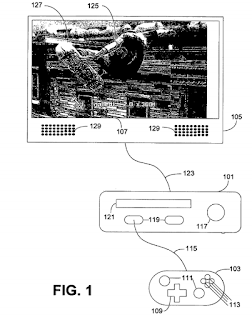 The ‘332 patent describes a method of recording in game footage and including information such as score. The recordings happen continuously, allowing a player to select ideal footage. The method allows the player to edit footage using the game controller and add sound effects. Several videos can be combined into a compilation. Videos are intended to showcase gameplay. 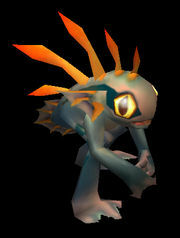 Back in November 2010, a former World of Warcraft game master sued Blizzard alleging copyright infringement based on use of her voice with the adorable baby murlocs in the game. According to the facts presented in that case, Blizzard had sent an email to all GMs inviting them to audition for vocal parts in July 2005. Around 120 GMs, including the plaintiff signed up and attended two recording sessions with Blizzard sound engineers. Later, the plaintiff discovered that her recordings were used in baby murloc sound effects (and also a song for when the baby murloc breaks into dance). The plaintiff contended that the recordings were outside the scope of her employment, that she owned copyright in them, and that they were used without authorization in the game. during the ever ongoing development of the game. (emphasis added). The fact that the plaintiff was paid for her sound recording audition carried significant weight with the court as well as that the plaintiff knew that the recordings would be used in promoting the game. The court held that the work was a work made for hire and that copyright solely belonged to Blizzard, and rendered summary judgment in Blizzard’s favor. The court also awarded attorney’s fees to Blizzard. Now the case is on appeal to the Ninth Circuit. Per Law360 (subscription required) and an audio recording of the hearing, the plaintiff argues that the lower court misinterpreted the GMs job responsibilities and that the quoted portion of the handbook is in direct contradiction to other portions of the handbook. The plaintiff continues to argue that the sound recordings were made outside the scope of her employment and thus should copyright should belong to her. Blizzard argues that her job responsibilities as stated involved content creation and that the lower court’s decision was sound. The issues in this case were made a lot easier for Blizzard due to their employee handbook. It is a good practice to ensure that content included in your game was made by employees acting within stated job responsibilities, or subject to an express work for hire agreement / copyright assignment. We will continue to watch this case for interesting developments. Looks like the Worlds Inc v. Activision case has been dismissed, at least for now. In an interesting development, it appears that Activision was successful in arguing that Worlds’ patent attorneys did not properly claim priority to the filing date of the earliest patent in the family of patents being asserted. Without that priority date, Worlds patents were invalid because their own products embodying the patents were released more than one year prior to the next filing date. Worlds tried to correct the mistake by requesting a Certificate of Correction from the USPTO, which was granted on Sept. 24, 2013, but the court said that the certificate of correction was prospective only, and could not be used retroactively. So the net result is that Worlds’ patents were invalid until Sept. 24, 2013, but are valid now. However, Worlds’ case against Activision was premised on infringement occurring prior to Sept. 24, 2013, which is while the patents were invalid, so the court dismissed the lawsuit. Worlds Inc. can still appeal. However, their attorneys are on contingency fee, so it might not be worth it for them at this point. Worlds Inc. earliest priority date is Nov. 13, 1995. That means that its patents will likely expire around Nov. 13, 2015 (there may be some time added based on delays by the USPTO during prosecution of the patents… still need to check on that). For any new case filed, the period of time for possible damages is only Sep. 24, 2013 – Nov. 13, 2015. Not much time to rack up a huge damages award. Any new case filed likely wouldn’t be resolved until after the patents expires, thereby taking the threat of an injunction off the table. Unless Worlds Inc. has other patents not in this family (which, from the USPTO assignment records, does NOT appear to be the case), then this is likely the beginning of the end for Worlds Inc.
P.S. Products v. Activision Blizzard – Dismissed! Activision delivers a knockout punch. P.S. Products had sued Activision Blizzard for patent infringement based on a design patent owned by P.S. Products directed to the design of a stun gun shaped to look like and be worn as brass knuckles. 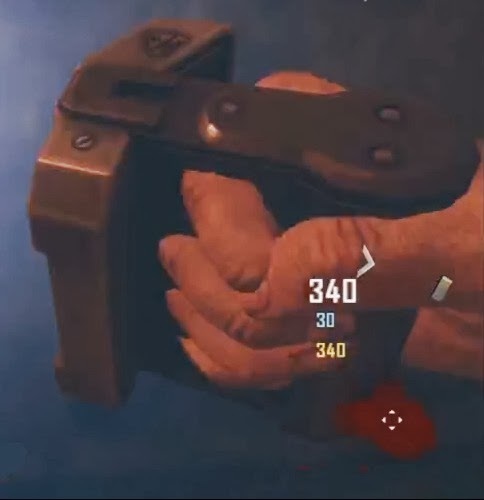 Activision Blizzard had included a different looking virtual brass-knuckle-stun-gun in Call of Duty, Black Ops II. Litigation ensued. After various motions, and before getting too far along, the court has now granted Activision’s motion to dismiss for failure to state a claim. Two points are critical here. Second, the design patent depicts physical brass knuckles, whereas the galvaknuckles are only ever rendered as a virtual item in a video game. Activision Blizzard does not manufacture or sell physical Galvaknuckles. While the differences in appearance certainly weigh in the mind of the judge, the court instead relies heavily on the second point in dismissing the patent infringement claim, stating “[n]o reasonable person would purchase defendants’ video game believing that they were purchasing plaintiffs’ stun gun.” The court thereby apparently takes the view that a design patent for a physical item is not infringed by a virtual rendering of that item. However, the court is silent regarding whether the significant differences in the designs of the two items at issue here played any part in its analysis. The court also dismissed (for less interesting reasons) the unfair trade, trade dress, and trademark infringement counts. NovaLogic, Inc. v. Activision Blizzard Et. al. 2003’s “Delta Force: Black Hawk Down”. NovaLogic also sued Penguin Group USA, Inc.
were dismissed on similar grounds. significant for publishers like Activision. worry about potential litigation or licensing agreements with subsequent groups who use the term as a trademark. Similarly, trademark owners should be careful when choosing a mark, and might think twice about trying to usurp rights to a name that has a previously understood public meaning. 360 consoles that were bundled with the game. update as more information becomes available. After the initiation of this lawsuit, Reeves failed to appear and did not respond to the complaint. Blizzard filed a motion for default judgement that was granted on August 10, 2010. Blizzard was awarded $88,594,539 in damages: $3,052,339 in disgorged profits, $85,478,600 in statutory damages, and $63,600 in attorneys fees. The statutory damages appear suspect, and could be overturned on appeal, but in view of the default judgment it doesn’t appeal likely that will happen. storing in a database player information associated with the player, the stored player information being available for use in a subsequent tournament to influence game play of the subsequent tournament while the player is playing a subsequent game in the subsequent tournament. The complaint alleges infringement by a litany of games, including (among others) Activision Blizzard’s Call of Duty: Black Ops, Call of Duty: Modern Warfare (1 and 2), Call of Duty: World at War, Blur, DJ Hero 2, Cabela’s North American Adventures, and World of Warcraft (and its expansions packs), and Zynga’s Mafia Wars, Vampire Wars, Fashion Wars and Street Racing. We’ll keep you posted on this one. The case caption is Walker Digital, LLC v. Activision et al., No. 1:11-cv-00004 (D. Del. filed Jan. 3, 2011).